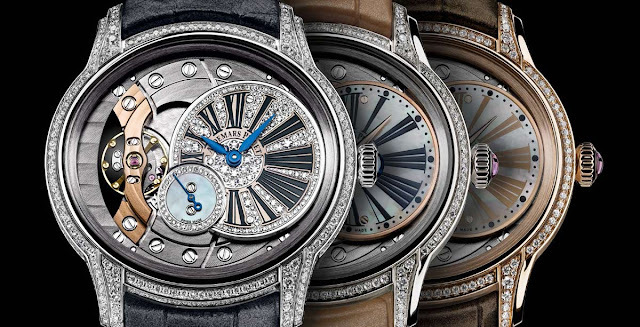 Audemars Piguet has a tradition in developing oval-shaped watches for women since the 1970s. This tradition is reinforced with the latest Millenary timepiece specifically designed for Ladies. 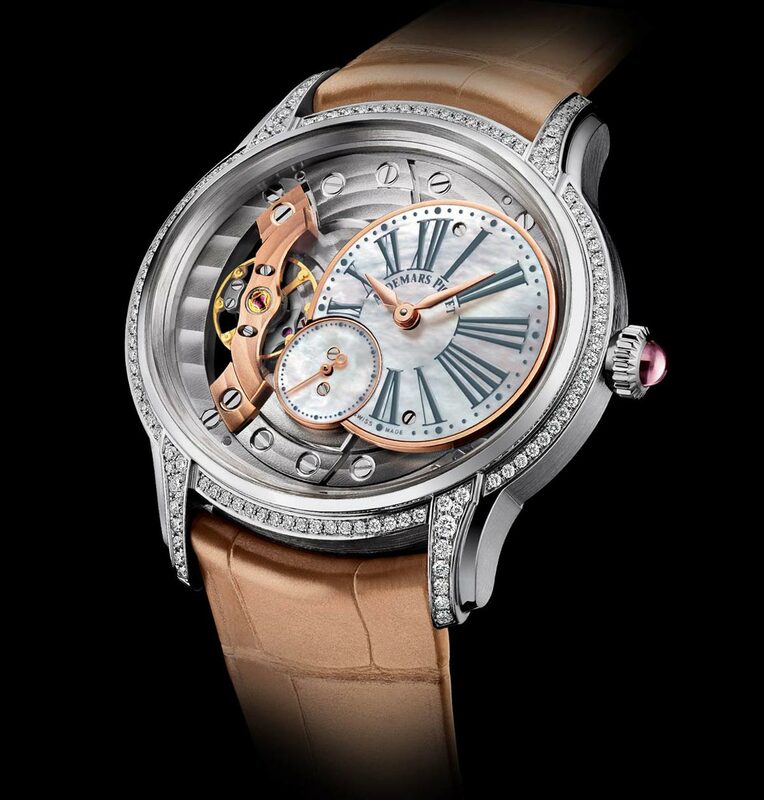 With a strong feminine identity as well as remarkable technical contents, the new Millenary Hand Wound for Ladies is powered by the 5201 hand-wound manufacture movement. 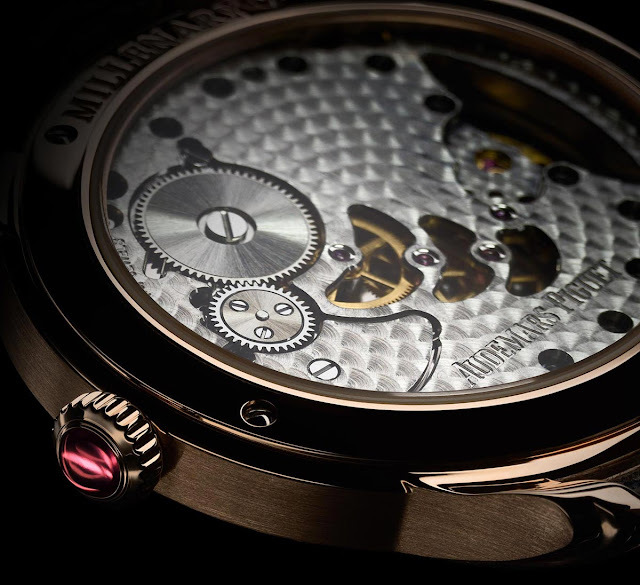 Three years in the making, the new calibre operates at a frequency of 3 Hz (21,600 vph), offers 54 hours of power reserve and contains 157 parts and 19 jewels. 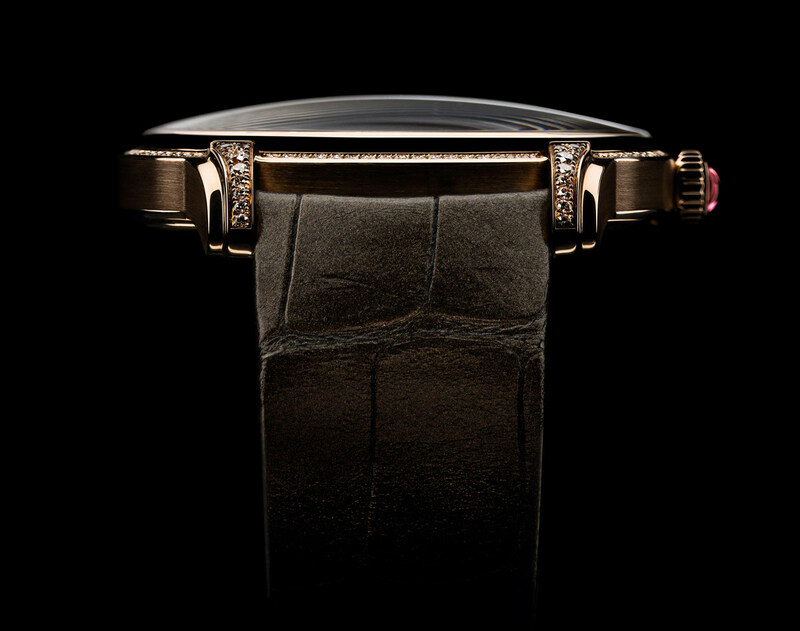 The beautifully shaped case had a diameter of 39.50 mm and is available in pink gold (ref. 77247OR) or white gold (ref. 77247BC) with diamond-set bezel and lugs (116 brilliant-cut diamonds for ~0.60 carats). The crown is set with a pink cabochon sapphire. The off-centred round dial and the and small seconds counter are made from white mother-of-pearl with pink gold hands. Roman numerals mark the hours. On the left it is possible to admire the exposed balance wheel. A third version (ref. 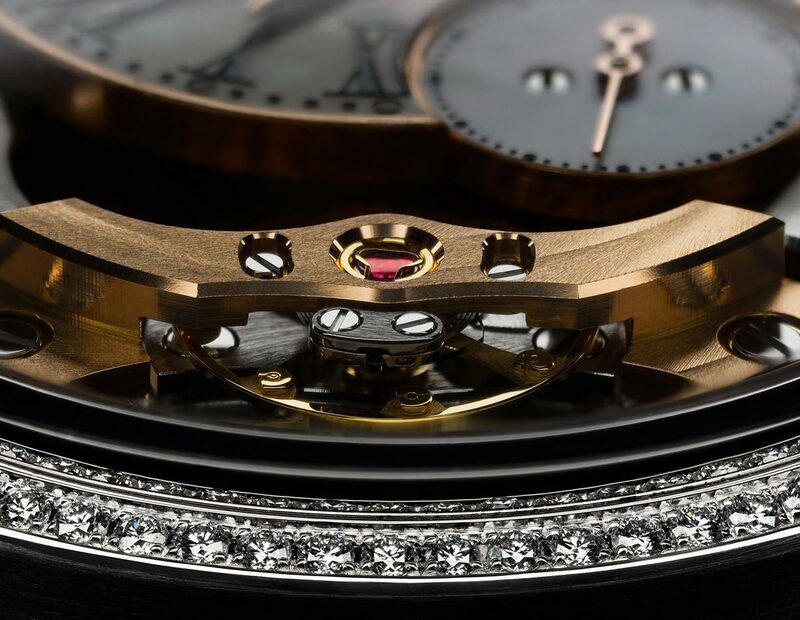 77248BC) features a white gold case entirely set with diamonds (438 brilliant-cut diamonds for ~1.93 carats) and is enriched by a diamond-paved white gold off-centred disc (136 brilliant-cut diamonds for ~0.26 carats) and blued gold hands. The crown is set with a blue cabochon sapphire. Audemars Piguet - Millenary Hand-Wound for Ladies. Audemars Piguet has a tradition in developing oval-shaped watches for women since the 1970s. 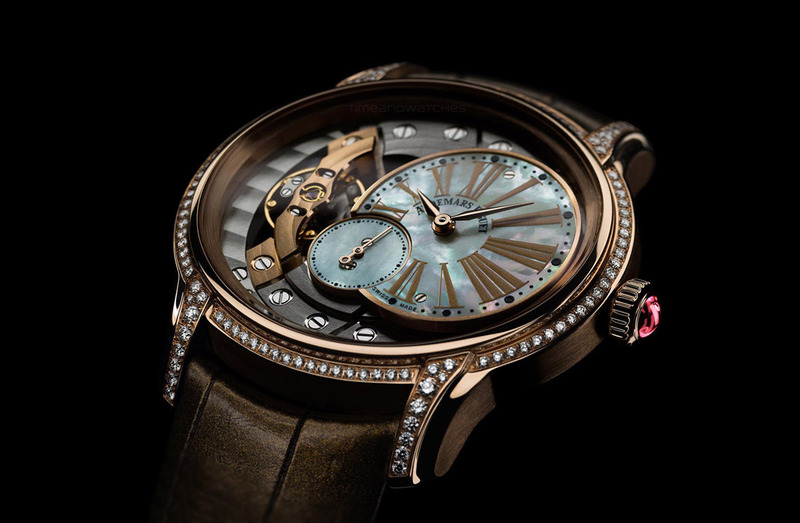 This tradition is reinforced with the latest Millenary timepiece specifically designed for Ladies. 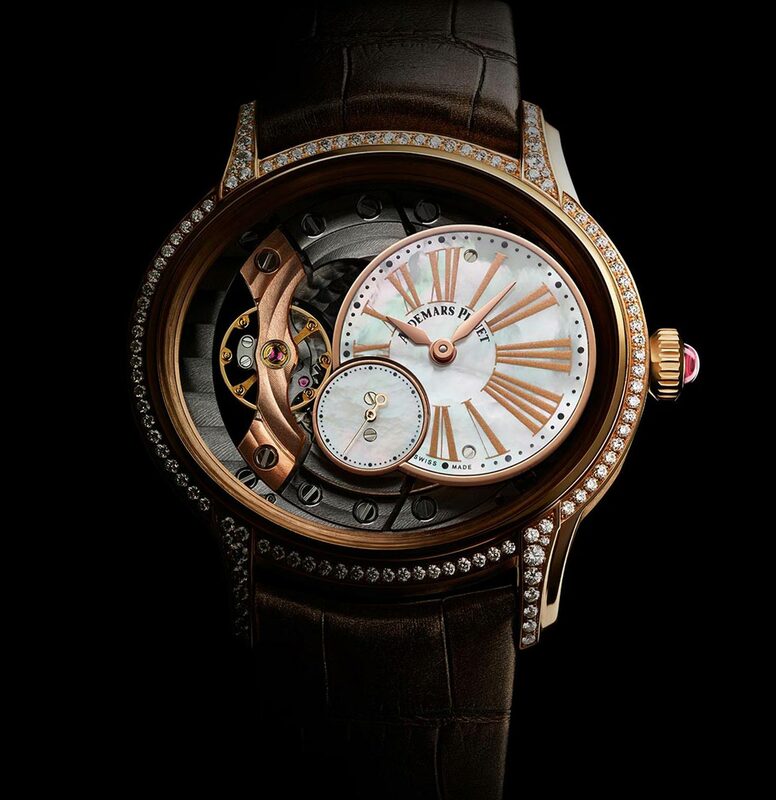 With a strong feminine identity as well as remarkable technical contents, the new Millenary Hand Wound for Ladies is powered by the 5201 hand-wound manufacture movement. 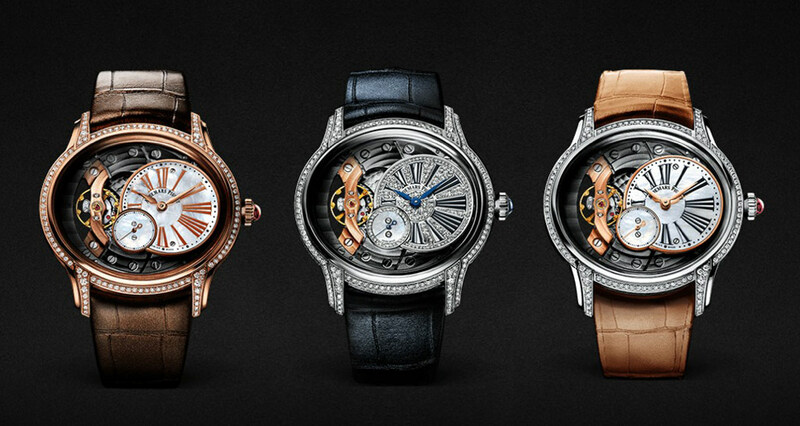 Retail prices start at around Euro 27,700 / US$ 28,400 for the pink gold version.